Though January is over, the ketogenic diet has continued to trend into 2018. This low-carb, high-fat diet consists mainly of non-starchy vegetables, wild-caught fish, grass-fed meats, and healthy fats like coconut oil, olive oil, avocados, and nuts. By drastically decreasing the number of foods that turn into sugar in the body, you effectively put your body into a metabolic state of ketosis, which can help with weight management, control food cravings, and lower your risk of certain health issues like type 2 diabetes and heart disease. 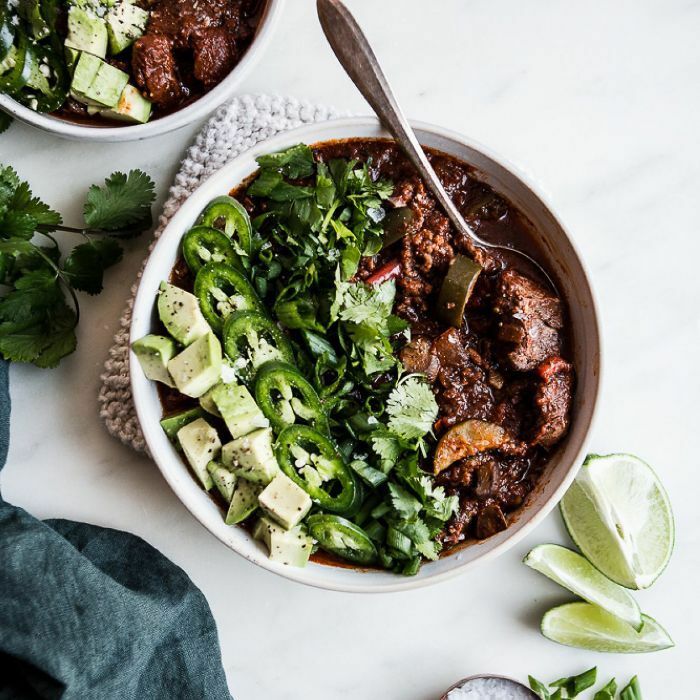 We've turned to Pinterest in search of the best ketogenic recipes on the internet, landing on this simple Instant Pot Chili Lime Steak Bowl recipe from FoodnService.com. If you're in need of more keto-friendly recipes, look no further than the below (saved over 10,000 times on the sharing site). Turn your Instant Pot on sauté, and add olive oil. Once hot, add garlic and cook until a golden color. Then add all remaining ingredients (except avocado), and mix well with wooden spoon. Place lid on, and put on Manual High Pressure for 10 minutes. Do a quick pressure release. Once pressure is released, removed lid. Turn pan back onto sauté mode, and stir the meat to break it up into little chunks. Keep on sauté mode until liquid has been reduced by half. Allow to cool and serve in a bowl, and then surround it with your diced avocado.